How Does Evening Primrose Oil Help Prevent Hair Loss? Hair loss has become common among people especially adults. The problem of hair loss can be dealt easily, if we take necessary steps. When it comes to treating your body, we should use the best way to get rid of any problems. It is noticed that at a normal rate a person loses about 50-100 hairs every day. Presence of bald patches and thin hair is an indication of hair loss. Let us take a sneak peak into how to use evening primrose oil for hair loss. Does Evening Primrose oil Work for Hair Loss? 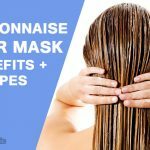 How to use Evening Primrose oil for Hair Loss? 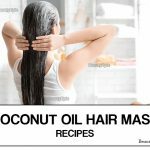 How long Does it take for Evening Primrose oil to Stop Hair Loss? Extracted from the evening primrose plants found mainly in parts of North America and Europe, it got this name since the flowers of this plant usually opens up on evening. There exist natural oil which is a rich source of antioxidants that helps to nourish the scalp. The omega-6 fatty acids present in evening primrose oil helps in fighting hair loss. No other plant has such wonderful healing nature as evening primrose has. One best method is to apply the oil is directly in the scalp without mixing with any other ingredients. Take a cotton ball, then apply the oil in your scalp. Repetition: once time a day, Make sure you do this on a routine basis for at least a week. Precaution: you have to do it on a daily basis otherwise the process of preventing hair loss would be slow. Second best method to treat the problem of hair loss is to take it in form of capsules or pills. Now even if you miss 1 dose of evening primrose oil for a couple of days, there is nothing to worry as you can continue the intake of oil at optimum quantity. Repetitions: The ideal dosage is around 500 mg twice a day. Precaution: eat the pill on daily basis or the dose which is mentioned above. If you use it on regular basis then it will take 2 months to get rid of hair loss issues. It is no doubts some time, but certainly beneficial for the rest of your life. In summary, Evening primrose oil is one of the easiest and effective ways to deal hair loss. The abundance of good fatty acids in evening primrose oil is also found to be powerful in preventing hair loss and thereby keeping them healthy. They are capable of nourishing the scalp, hence can be used in the treatment of a variety of hair problems. We have seen the two methods mentioned above, both the methods are equally effective and so try it out and let us know. 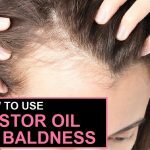 How to Treat Baldness with Castor Oil? 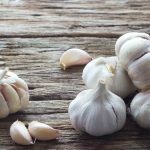 Garlic For Hair: How To Use? 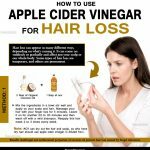 Can Apple Cider Vinegar Stop Hair Loss? Hair loss has become common among people especially adults. Let us take a sneak peak into how to use evening primrose oil for hair loss.